A vegan diet contains only plants – such as vegetables, grains, nuts, fruits and other foods made from plants. It excludes foods that come from animals which includes meat, chicken, fish, shellfish, dairy products, eggs, honey and other animal agriculture products. This type of diet is usually low in calories and saturated fats and high in Fiber and Vitamin C.
Vegans use products which are cruelty free i.e. products that do not involve animal labor. List of 42 Indian Foods Vegans can eat. 1) Milk and milk products like curds, cheese, paneer, buttermilk, ghee, mawa, Chocolates, creams, ice creams etc. 2) All meat and meat products – chicken, fish, mutton, beef, prawns, shellfish etc. 3) Animal products like honey and food coloring derived from insects like cochineal. It is really important to read the food product labels as some products are prepared using hidden materials or in the same factory where non-vegan products are used such as milk, milk powder and eggs are made. 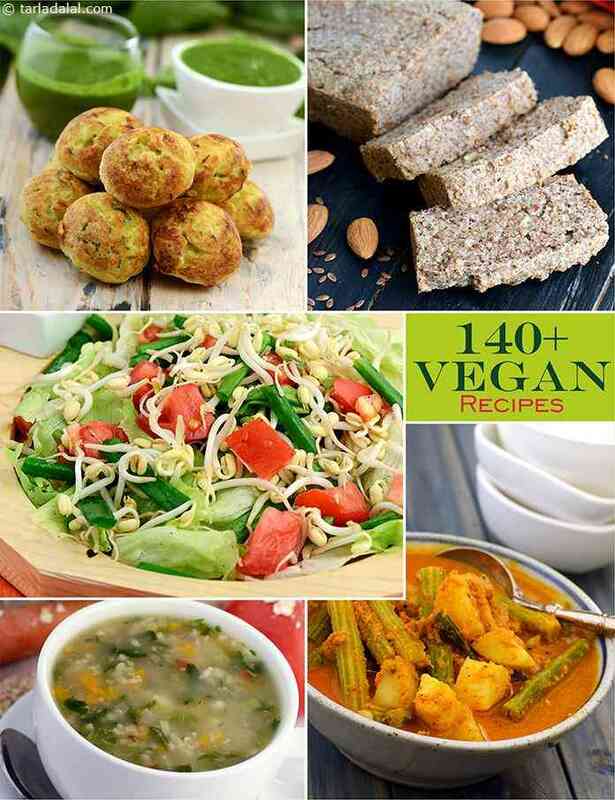 Try or wide range of vegan recipes and overcome the notion that vegan diets have less culinary creativity.